Being in love can be a beautiful experience and it bases the development of a tight bond between two souls. 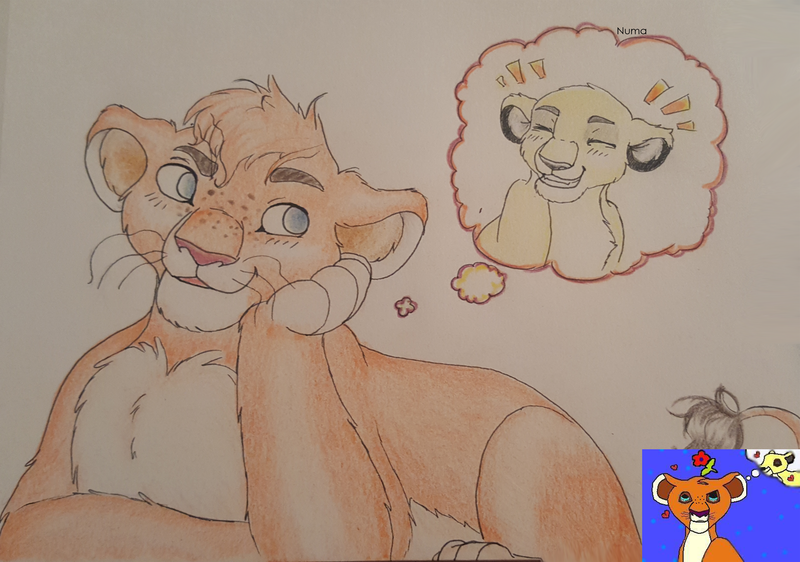 I know that there is also a shadow side on everything but in this redrew I liked to depict the bright side of love: The thoughts of the lion in the front, I called him Nino back then, are focused on his crush, a young lioness (I didn't give her a name). Well, I can't say. Yet, he is not meant to be a character of mine. Yet!